Preorder of Bomb of Basic City SPECIAL EDITION is open ! 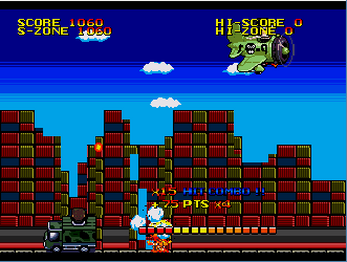 Created by Studio Vetea and inspired by Gamopat's Bomb on Pixel City, Bomb on Basic City is an addicting arcade bomber game for the Sega Genesis/Mega Drive. 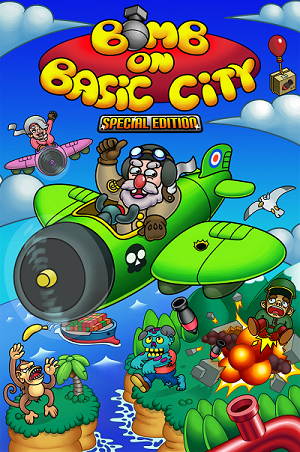 Papi is back with a vengeance in the new game Bomb on Basic City. 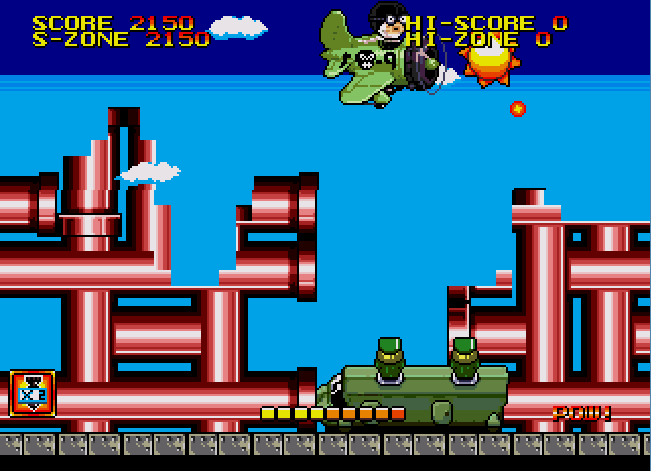 Take flight in Papi's bomber to fight the C++ Invasion Forces and reclaim your homeland in this action packed arcade bomber! 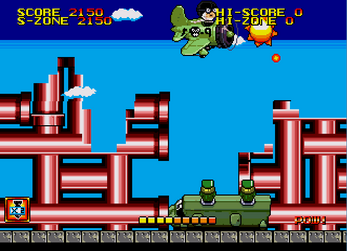 - Buttons: A and C drop normal bombs and missiles ( Power-ups ). B will drop a charged bomb when the power meter is full. - Avoid ennemy bullets and buildings. - Collect items and power-ups ! - Left direction slows Papi's plane down, and the Right direction speeds his plane up. - Start pauses the game and displays the Options menu. Gives you 3 additional bombs. Turns your next bomb into a missile that will reach the ground and cause chaos in its wake. Raise or lower the plane by pressing up or down. Defends against one bullet only. Use on your Genesis/Megadrive Emulator or on your Everdrive cartridge !